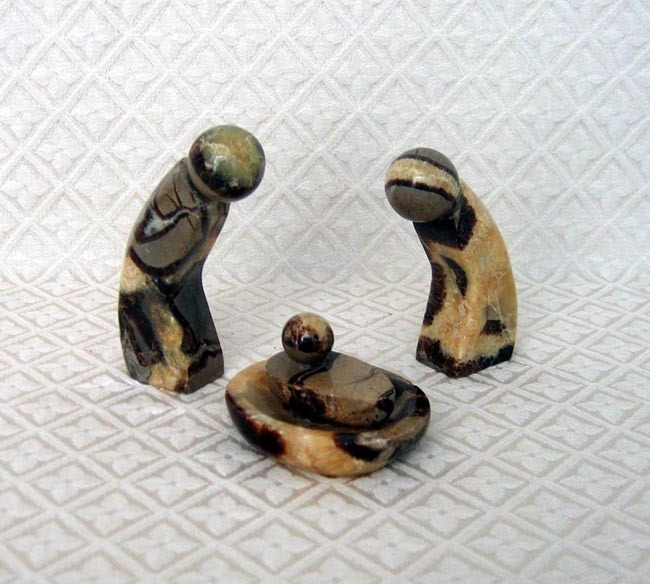 This Nativity scene from the island of Madagascar contains Joseph, Mary, and Baby Jesus in a manger. The pieces are carved from mineral stone. The Joseph figure measures 3.75 inches high. This set was purchased from a native carver selling in an open market in Antananarivo, the capital of Madagascar.